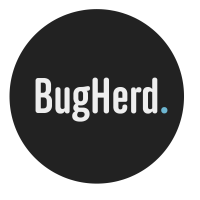 BugHerd can collect bugs by sending emails to your project. This means you can collect bugs from any computer or other device as long as it can send email, even if you are not logged into BugHerd! Each BugHerd project has an email address associated with it, and when an email is received on it, a bug will be created. BugHerd project emails are in the format: `project-KEY@bugs.bugherd.com` where KEY needs to be replaced by the project key of your project. You can obtain this key by clicking the cog icon next to the project name (in the sidebar to the left), then select "install bugherd". You will see this modal, the project key is in the 'Project Key' field. Note that normal project permissions apply. Only email addresses of people who are members or guests on the project will be able to create bugs using this method. You can enable 'public feedback' to allow emails from non users to create tasks. Any attachments and images in the email are added to the bug as attachments. If there is a single image BugHerd will add it to the bug as the bug's screenshot instead if appropriate. If you will be using email to capture bugs from your users, it's recommended to setup an alias such as bug@company.com which forwards to your project's email address. It will be easier to share and remember, and it's more trustworthy. Take a screenshot by simultaneously holding the power button and the home button.